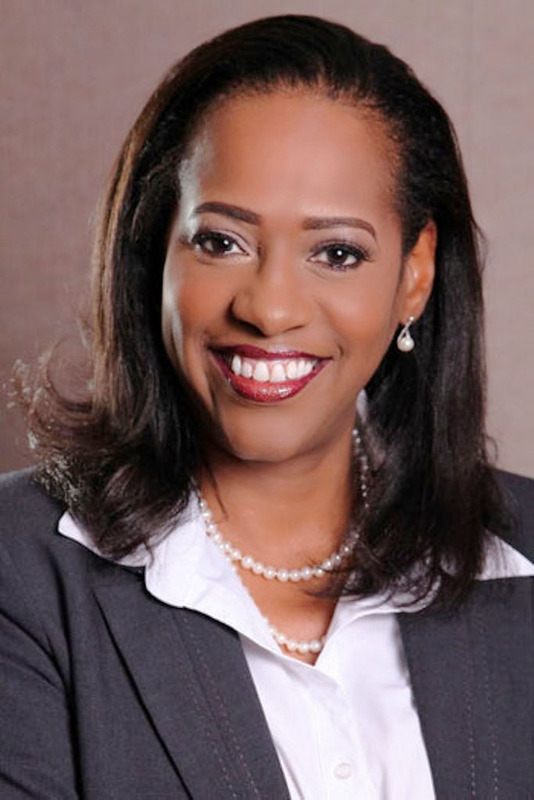 Patricia Walters, CEO of St. Kitts-Nevis Cable Communications Ltd.
BASSETERRE, St. Kitts –- Patricia Walters assumed the position of CEO of St. Kitts-Nevis Cable Communications Ltd. during a brief but significant ceremony. Walters replaces Bill Ewing, who retired after 35 years of service. Attorney General and Minister of Communications, the Honourable Senator Vincent Byron, during the Sitting of Parliament on Thursday, said Ms. Walters has a wealth of experience. Ms. Walters moved to London to study and qualify as an associate and then Fellow of the Association of Chartered Accountants (ACCA). Minister Byron said Ms. Walters is deeply committed to helping others professionally by mentoring, training and frequently speaking at international empowerment forums for young professionals and women in ICT conventions, as well as personally and by volunteering her time to non-charitable organizations. Minister Byron used the occasion to express thanks and appreciation on behalf of the Government and people of St. Kitts and Nevis for the work done by Mr. Ewing, founder of St. Kitts-Nevis Cable Communications Ltd-the Cable. “We pay tribute to the work done by Mr. Ewing in St. Kitts and Nevis and we wish him well,” Minister Byron said. “We want to wish Mr. Ewing well in his retirement and to bid him farewell, he and his family will continue to be welcomed here in St. Kitts and Nevis and to live out the remaining years of life in a good way. “I wanted to once again in this honourable House pay tribute to the work that has been done by Mr. Ewing over the years in service to us here in St. Kitts and Nevis,” concluded the Minister of Communications.